I almost didn't post this outfit because of the wind, the weird lighting, and the strange things my hair is doing in them. However, I decided that this outfit isn't all that bad and that it deserved to be seen on the Internet. I borrowed this mint dress from Katie right before I left Illinois, and I fell in love with the color and the flattering cut. After pairing it with a burgundy cardigan, I realized that this outfit kind of matches my blog layout because I'm cool like that. That's a thing people do, I hear. I'm also pretty crazy about this Mata Traders necklace that I picked up at local boutique while in Illinois, but hopefully I'll get some better detail shots of it soon. I wore this on one of my last days in Illinois for my work's end-of-year party, which means that you've already seen this outfit if you follow me on social media. It was a fantastic night, and a great way to end a great year. To be honest, the past couple of weeks have involved too many goodbyes for my liking. Even my recent trip to Arizona, where I was for a few days to celebrate my brother's graduation from ASU, ended with sad goodbyes to two of my brothers and family. While in Arizona, we did our best to beat the heat, ate some good food, toured the campus, and saw my brother graduate with honors. It was a great trip altogether, especially since it was the first time I had all of my brothers in one place in a year and a half, but it was bittersweet to say the least. So that's why, among the sea of goodbyes, it felt like a breath of fresh air to spend part of my trip getting to say "hello" to a familiar face, as I had the pleasure of meeting Lisa from Lala Faux Bois in person. We met over coffee on Friday night, and she was just as sweet and funny in person as she is online. She was incredibly easy to talk to, and it was so nice to have someone to talk about blogging, Flock Togehter, photography, and the like, who actually understands what I'm talking about. Thanks again for meeting up with me, Lisa! This makes the third current Flock Together girl who I've met, and fourth if you count former members. I'm determined to meet everyone in person eventually, and I feel like I'm making decent progress so far. Check out my Instagram to see proof that Lisa and I actually hung out. Since I've yet to find a big-girl job, I'm looking on the bright side and taking this as an opportunity to focus on blogging. I may not have my personal photographer anymore (sadly), but I do have a tripod and a backyard. I'm looking forward to playing around with my summer style a bit more this year, and I have a massive pile of clothes to get rid of in my room, so look forward to that. I may not have this whole adult thing figured out yet, but at least I have some sort of plans in the works. This is such a great colour combination! Very lovely! Goodbyes are no fun. But it's awesome that you met another person from Flock Together! I loved meeting a fellow blogger; I always feel awkward talking to most people in real life about blogging, but when it's another blogger it's just fabulous because you know they're not going to sit there thinking "this girl's taking pictures of herself daily...?" haha! I mean, y'know. Most people I know don't think twice about what I do, but I still feel weird about it sometimes. Anyway. You look adorable! I love the mint and burgundy together, and I LOVE your blog layout! 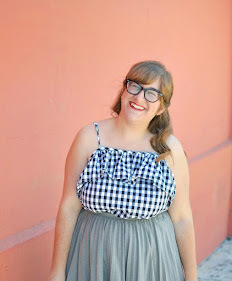 I haven't been able to blog-read in a while, so I don't know how new it is, but it's so cute! Good luck finding a big-girl job! I'm so jealous you got to meet Lisa! And you look very darling. Goodbyes are always hard, but hopefully as the summer comes it will be more hellos and yeses too. This dress is adorable and i'm glad you posted it!! So cute! Mint is a great color on you! Those colors do match your blog (which I think is totally fun, and honestly I'm kinda dorky but inspires me to try to create and outfit that matches mine). Also I totally get you on the having other goals to distract from the adult job. I'm currently hunting the job market and blogging and other hobbies totally make me still feel accomplished! I would have never put these colors together but I looooove it! You loov fabulous! Perfect outfit for a perfect night. It was so fun to meet up- I can't believe how fast the time flew! Hope your brother was finally convinced that I was a crazy internet person :) Love this color combo! so fun about getting to meet Lisa! (not that i havent said that a million times, but she's the best isn't she!?). congrats to your brother as well! love this mint color on you, & also love that MT necklace. they have some awesome & affordable jewelry that i sometimes forget about.. like one i already bought. got to organize the jewelry collection one of these days.